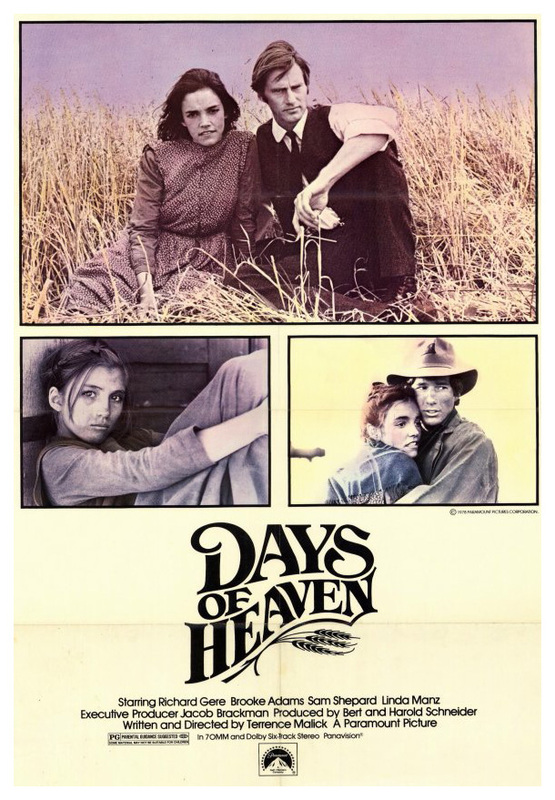 Lyricism explodes in “Days of Heaven,” from the opening bars of Ennio Morricone’s score overlaying a black-and-white montage of World War I American faces, to the roaring blast furnaces of Chicago and on to the limitless, undulating wheat fields of the Texas Panhandle. 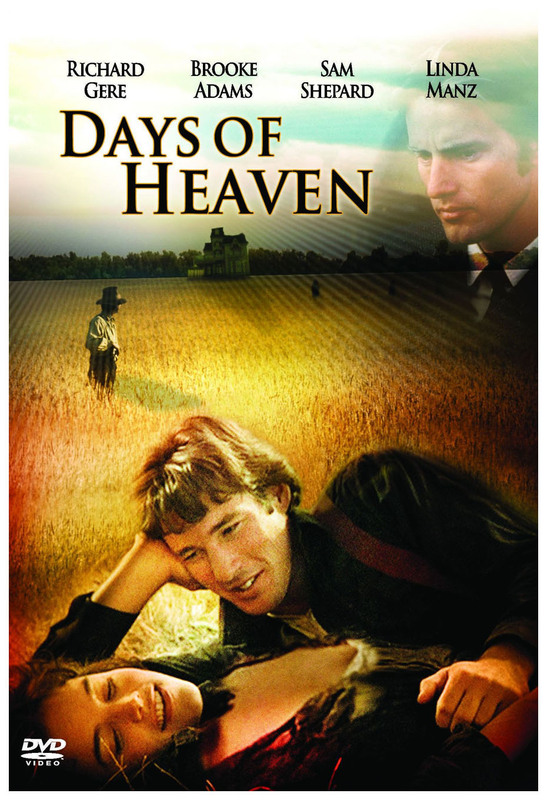 The story is simple enough: Bill, a temperamental sort, his lover, Abby, and his kid sister, Linda, flee Chicago - where Gere has accidentally killed the mill foreman - and find salvation of a sort harvesting wheat on a Texas farm. 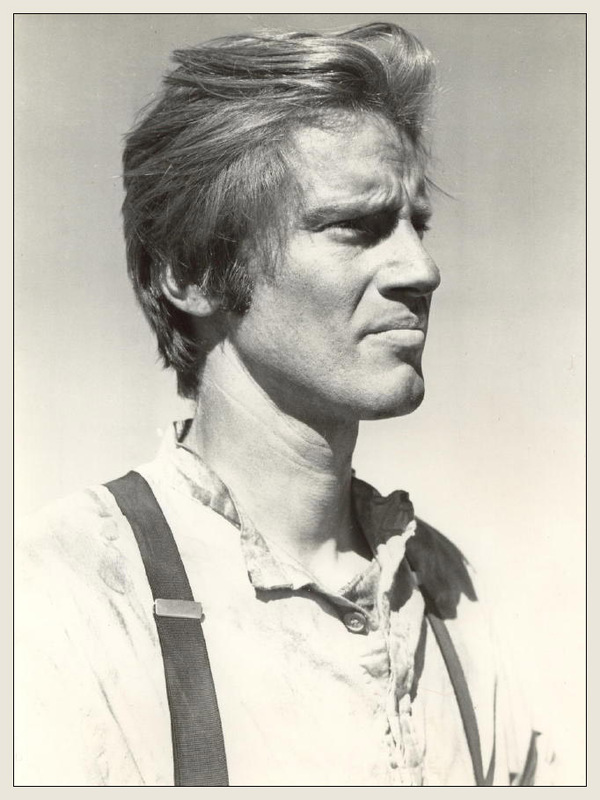 The farm owner, played by Sam Shepard - a lonely, awkward soul who is dying of an incurable disease - is attracted to Abby, who Bill has passed off as his sister. Grabbing at a chance to escape their drifters’ life, Abby marries the farmer, anticipating the money she and Bill will enjoy once he dies. The ensuing months are, indeed days of heaven, for all of them until the deception is uncovered. Production began in the fall of 1976. 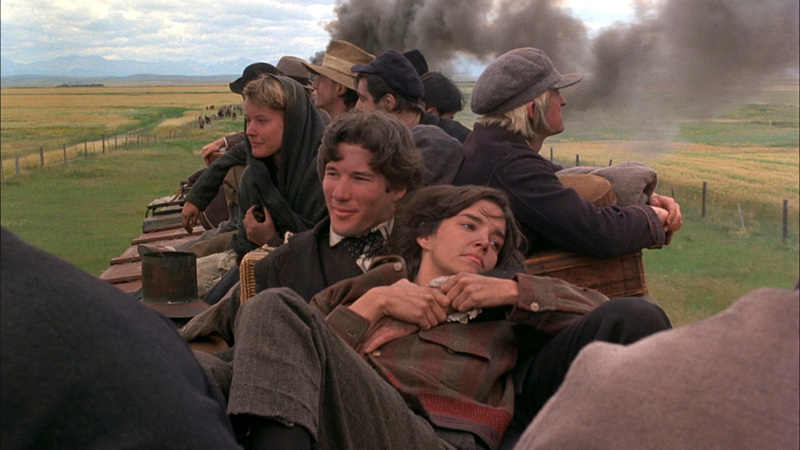 Though the film was set in Texas, the exteriors were shot in Whiskey Gap, a ghost town on the prairie of Alberta, Canada and a final scene shot on the grounds of Heritage Park Historical Village in Calgary. Jack Fisk designed and built the mansion from plywood in the wheat fields and the smaller houses where the workers lived. The mansion was not a facade, as was normally the custom, but authentically recreated inside and out with period colors: brown, mahogany and dark wood for the interiors. 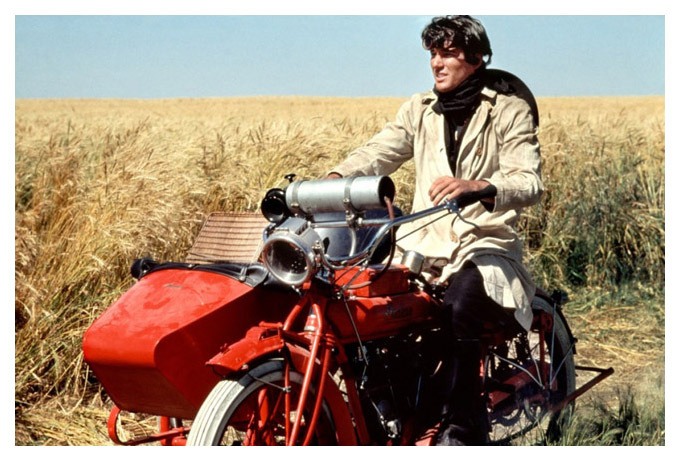 Richard Gere and Brooke Adams take time out from life to frolic in the swaying wheatfields of the Texas Panhandle, hawkishly overseen by Sam Shephard’s tragic Jay Gatsby figure who eventually lets his suspicions get the better of him. Theirs is a tale of almost biblical profundity: a furtive love allowed to bloom momentarily in this glowing, golden paradise before commerce, responsibility, law and violence put a heartbreaking end to their innocent bliss. 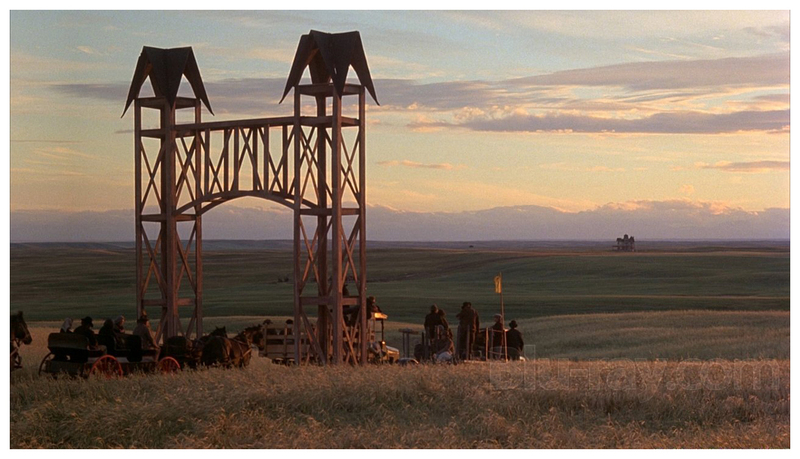 Visually and thematically, it’s still one of the most beautiful films ever made. 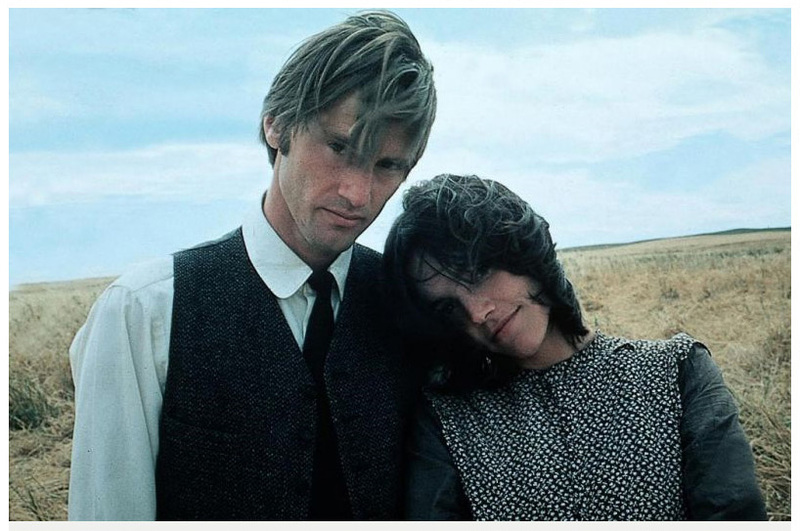 It was moviegoers' introduction to Sam Shepard, and it seems almost incontestably the most gorgeously photographed film ever made. The film, with its transcendentally beautiful visuals and mysterious and detached narration from Bill's actual younger sister Linda, who tags along with them, is a rich and rewarding experience, then as now celebrated for its intricacy and slowness. 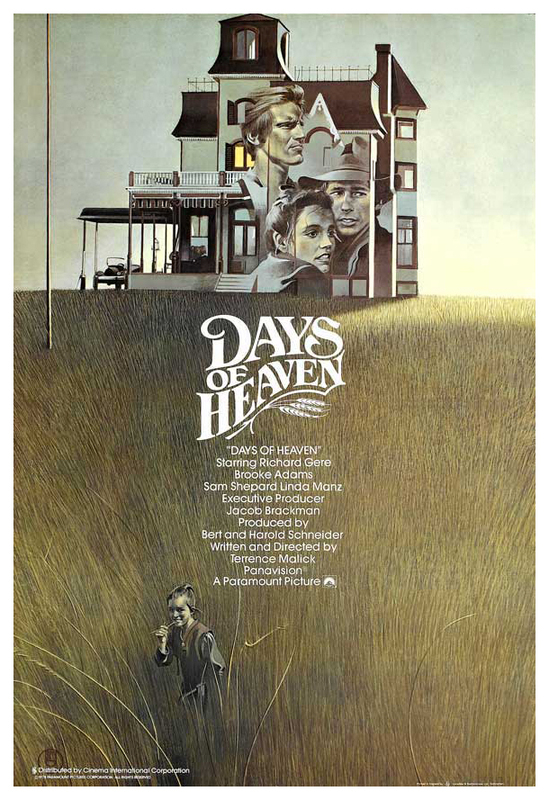 Stepping out of the playwright shadows, Sam Shepherd is the quiet Farmer, watching over his labourers from his mansion that sticks out like a sore thumb on the landscape, both beautiful and pitiable in its isolated grandeur. Alienating and refined, his house mimics his awkward presence, towering with gothic power on the outskirts of life. With echoes of the Edward Hopper painting 'House by the Railroad', the lonely idyl radiates the vulnerable air of teetering on the brink of big change. A truly beautiful photographed film. 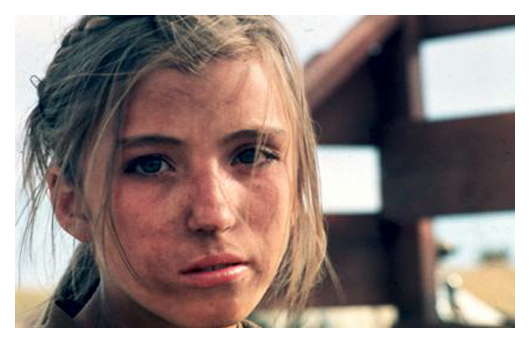 French cinematographer Nestor Almendros took home a well-deserved Oscar. 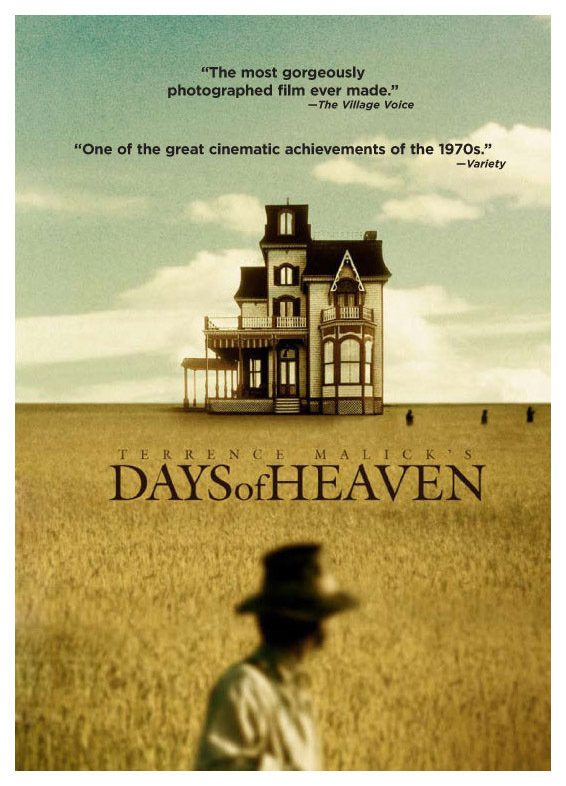 It's set during President Wilson's tenure, in the pre-World War I Texas panhandle.Writer/director Terrence Malick superbly shoots it as an enthralling mood piece, that lets its romanticized story of the human condition be spelled out visually to overwhelm us with its deep emotional impact as a parable of love and the loss of innocence with biblical proportions. 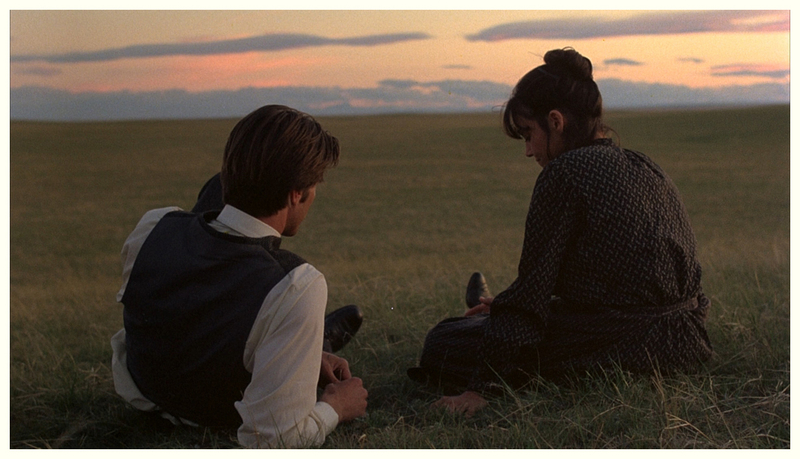 "Days of Heaven" is above all one of the most beautiful films ever made. Malick's purpose is not to tell a story of melodrama, but one of loss. His tone is elegiac. 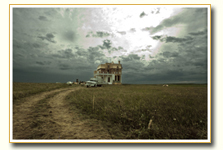 He evokes the loneliness and beauty of the limitless Texas prairie. In the first hour of the film there is scarcely a scene set indoors. The farm workers camp under the stars and work in the fields, and even the farmer is so besotted by the weather that he tinkers with wind instruments on the roof of his Gothic mansion. 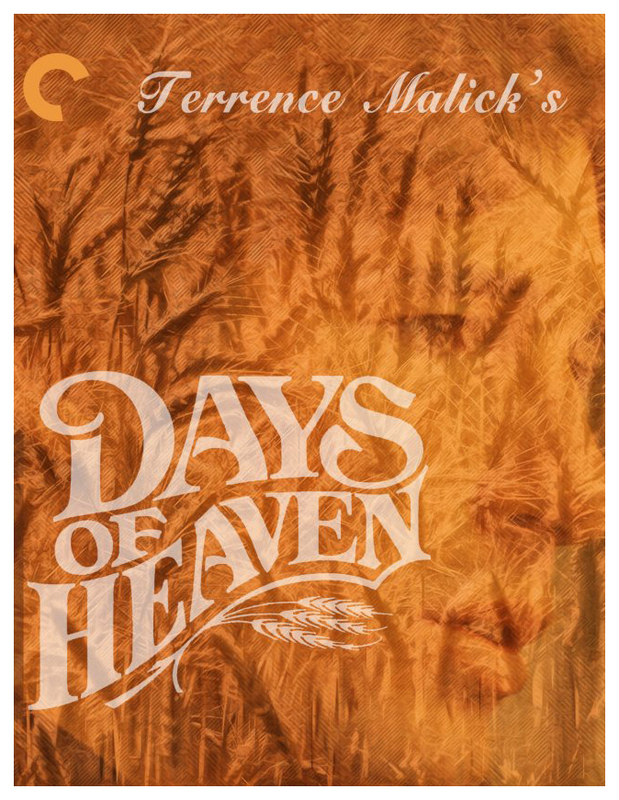 The film places its humans in a large frame filled with natural details: the sky, rivers, fields, horses, pheasants, rabbits. 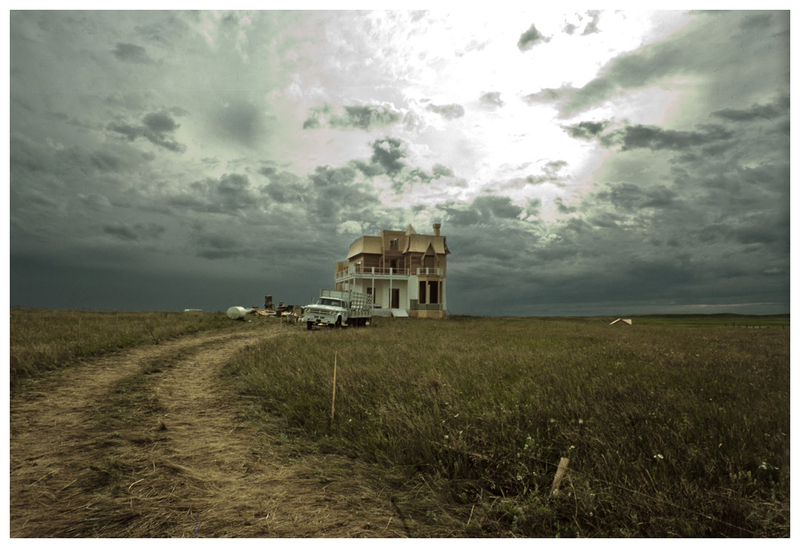 Malick set many of its shots at the "golden hours'' near dawn and dusk, when shadows are muted and the sky is all the same tone. These images are underlined by the famous score of Ennio Morricone, who quotes Saint-Saens' "Carnival of the Animals.'' The music is wistful, filled with loss and regret: in mood, like "The Godfather" theme but not so lush and more remembered than experienced. Voices are often distant, and there is far-off thunder. 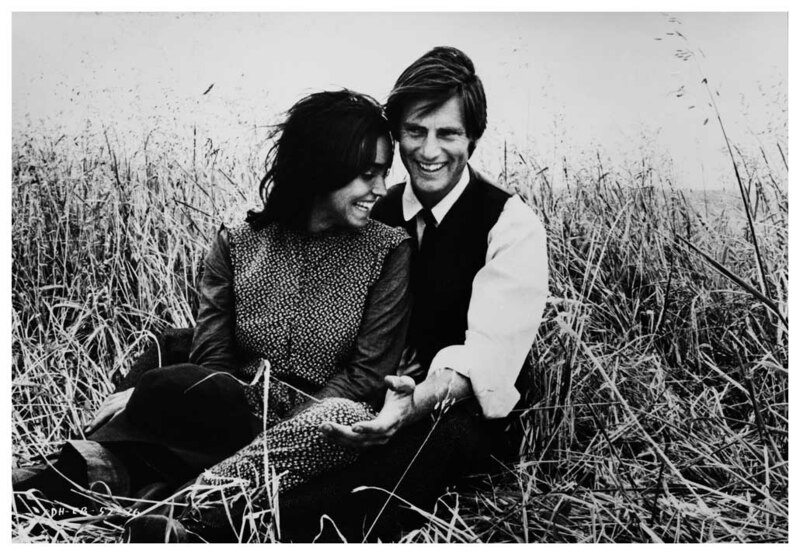 The film - about a Chi-town man (Gere), his sister (Linda Manz) and his girl (Brooke Adams), who hoodwink a wealthy, dying and lonely land baron (Sam Shepard) into loving them - is virtually flawless. An admittedly scant 95 minutes has no business feeling this epic. 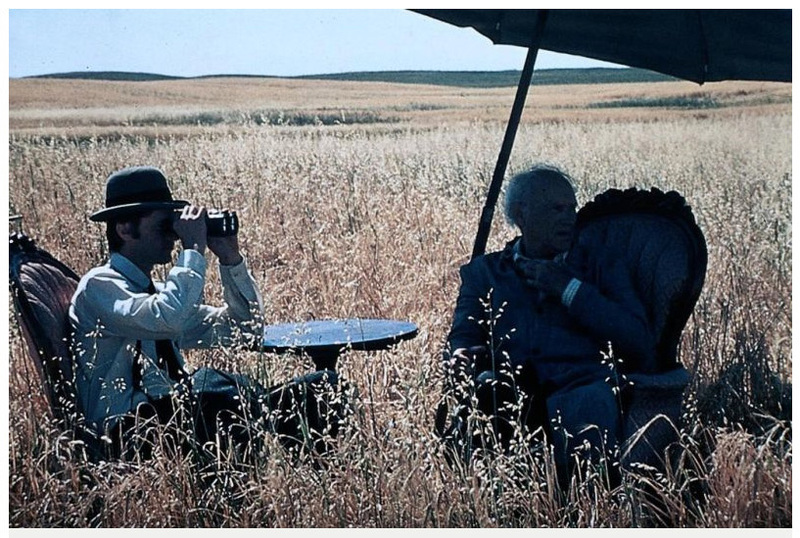 Andrew Wyeth paintings just don't move at 24 frames per second, and Edward Hopper in all his warm Americana could show you only the morning after, not the nights before, but you could fill a gallery with Nestor Almendros and Haskell Wexler's photography. 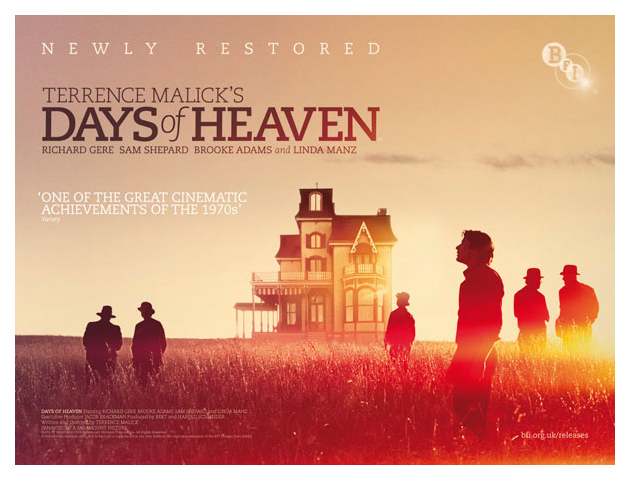 Malick's story and characters are thinly conceived precisely because his intention is to impart sentiments and tensions through nonverbal channels. This is never clearer than with his handling of the cast's performances, which are habitually reduced by the director's edits to ephemeral motions and unheard statements. This isn't to say that the trio of Gere, Adams, and Shepard are utilized merely for their own physical beauty. 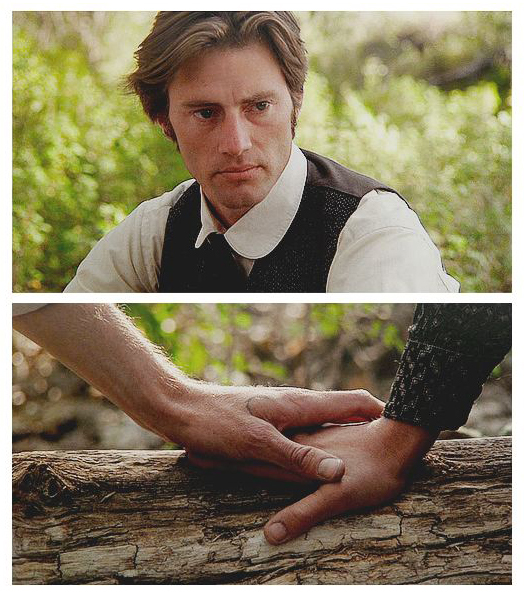 Rather, it's simply to contend that our ability to recognize, and empathize with, their characters' passions is due largely to Malick's decision to strip scenes down to their bare, poignant essentials: Bill's wounded look upon realizing that Abby has fallen in love with Farmer; Farmer's taut visage upon witnessing a romantic exchange between Bill and Abby; and Farmer's eyes, full of desperation for love and companionship, as well as a desire for self-deception, when he asks his foreman/surrogate father (Robert J. Wilke), who's suspicious of Bill and Abby's motives, to leave the homestead. 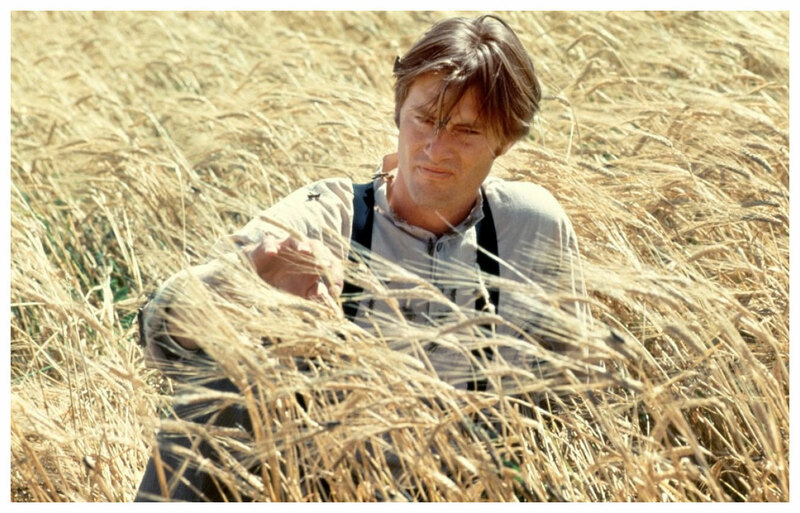 Sam Shepard has the part of the farmer. He is the well-known playwright, the author of such interesting works as Mad Dog Blues and Operation Sidewinder. This appears to be his first acting assignment in a film. He has a tall, rangy figure, a broodingly intense quality, and his work comes as a welcome surprise. 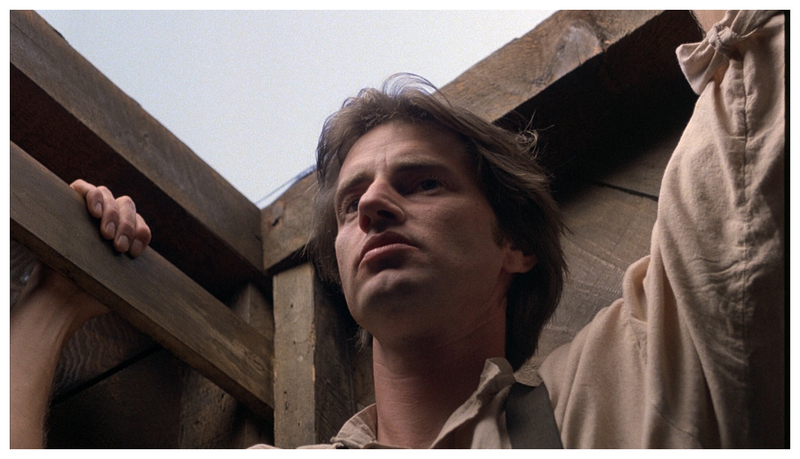 Terrence Malick's remarkably rich second feature (1978) is a story of human lives touched and passed over by the divine, told in a rush of stunning and precise imagery. 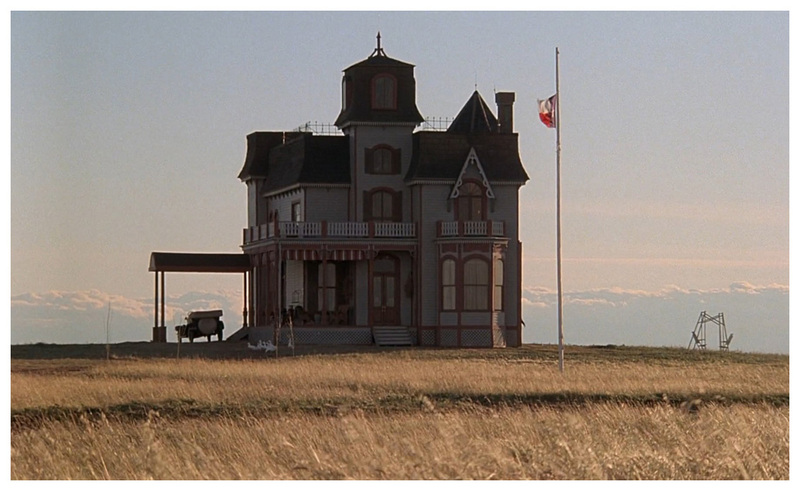 Nestor Almendros's cinematography is as sharp and vivid as Malick's narration is elliptical and enigmatic. The result is a film that hovers just beyond our grasp--mysterious, beautiful, and, very possibly, a masterpiece. 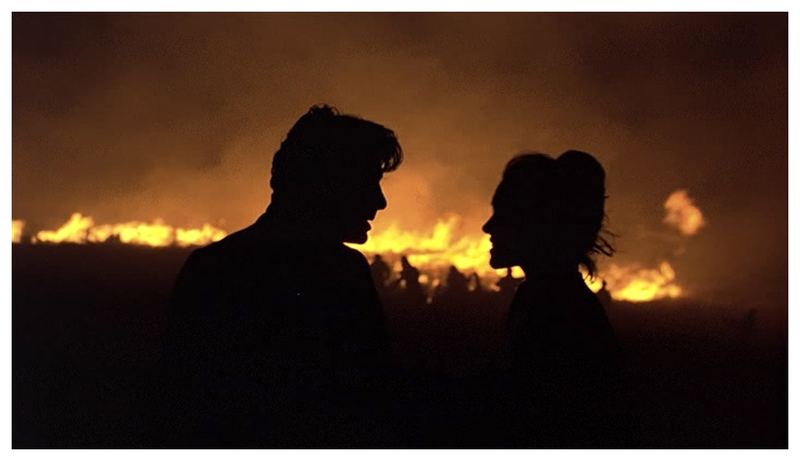 Malick had cinematographer Nestor Almendros shoot Days almost entirely during the "magic hour" between sunset and full dark, and the result is not so much a traditional movie as a procession of gorgeously bleak, perfectly composed paintings of light and color. 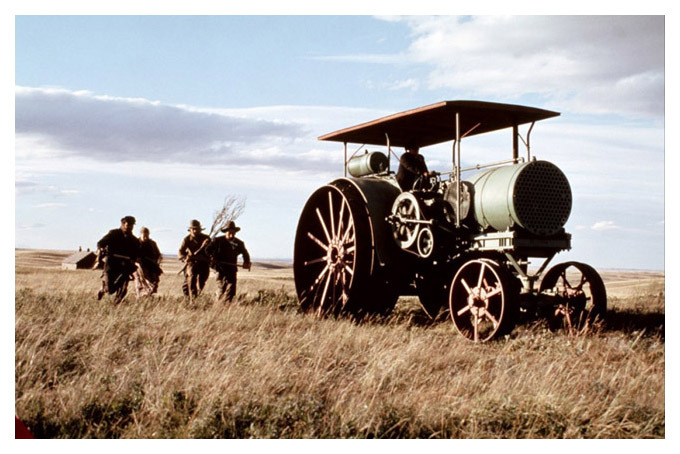 The people who move through Days' early-20th-century Texas Panhandle are equally striking. 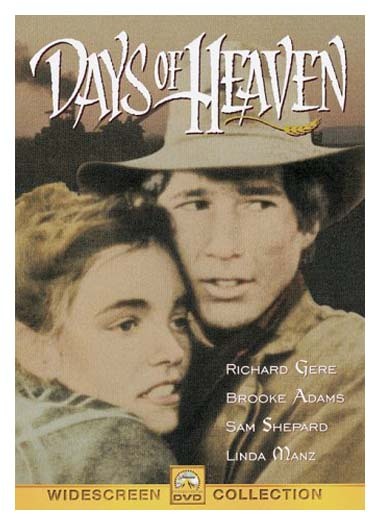 The easy-on-the-eyes Richard Gere and Brooke Adams play Bill and Abby, an impoverished (and unmarried) Chicago couple posing as siblings as they and a young girl named Linda (Linda Manz, who narrates) look for work in the Lone Star State. 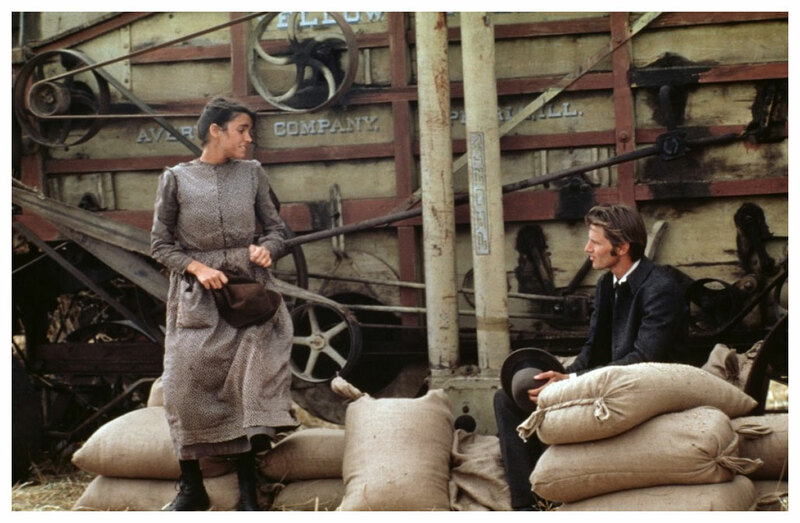 Abby catches the eye of a rich farmer (a studly young Sam Shepard) who persuades the trio to stay on after their work at his place is done. The story opens in Chicago with Richard Gere shoveling coal in a steel mill. After an altercation with a foreman he’s fired. He, his sister (Manz) and girlfriend (Brooke Adams), hit the road to find work in the fields, traveling as brother and sisters. 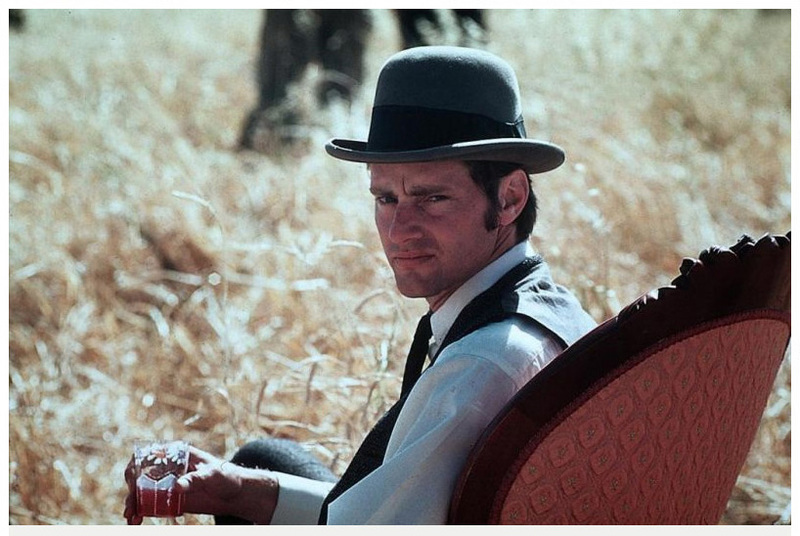 They find employment on a farm owned by a young, wealthy Sam Shepard. Like the other performances Shepard’s is quiet – this isn’t from the tour de force school – but it is a marvel nonetheless. 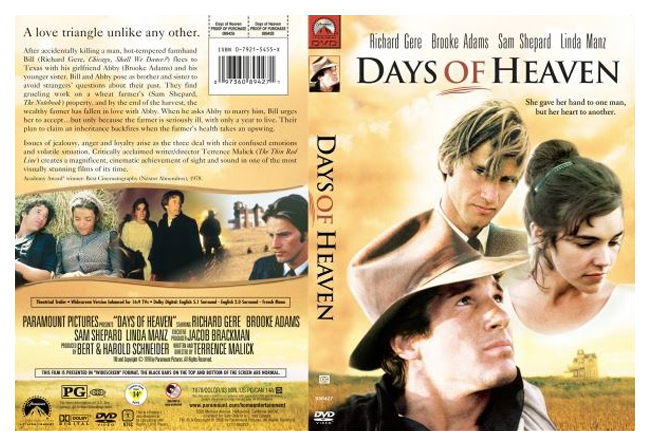 “Days of Heaven” has neither the writing of, say, “All About Eve” — although Manz’s laconic, wise voice-over narration will stay with you for a long time — nor the bite of “Sunset Boulevard,” nor even the narrative power of “The Godfather II.” But, to coin a (literal) clichi, it is the closest to poetry in motion that I have ever seen. The pictures — migrants leaping off a westbound train, a quick close-up of a face riven with conflicting emotions, locusts on a stalk of wheat — truly tell the story. It may be one of the most beautiful films ever made... 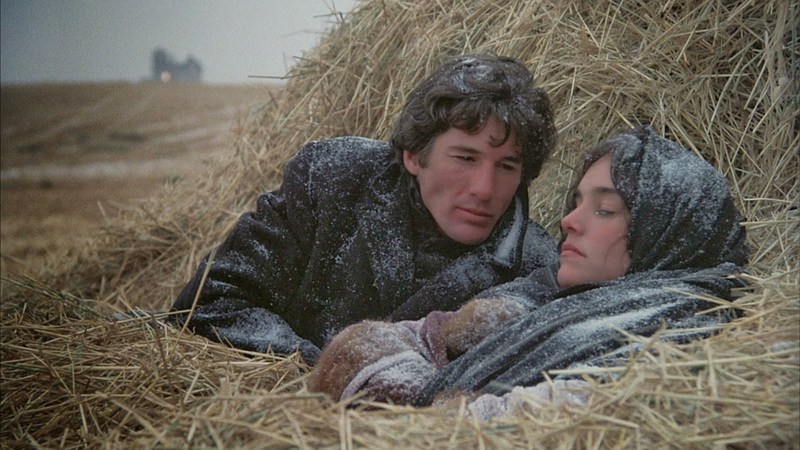 There is a simple eloquence to its story of a man (Richard Gere), his lover (Brooke Adams) and his young sister (Linda Manz), who leave Chicago to work in the wheat fields owned by a rich and dying farmer (Sam Shepard, whose movie star sideline to his playwriting took off after this).